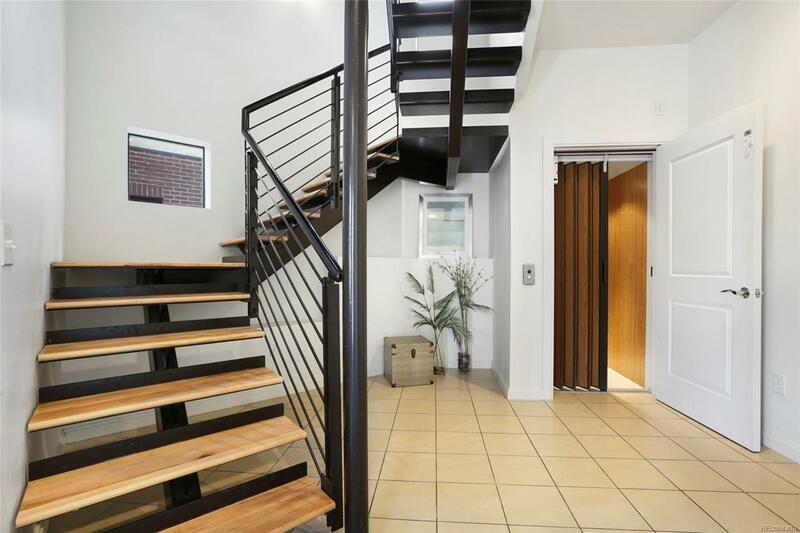 Amazing Ballpark townhome with an elevator and huge rooftop patio! 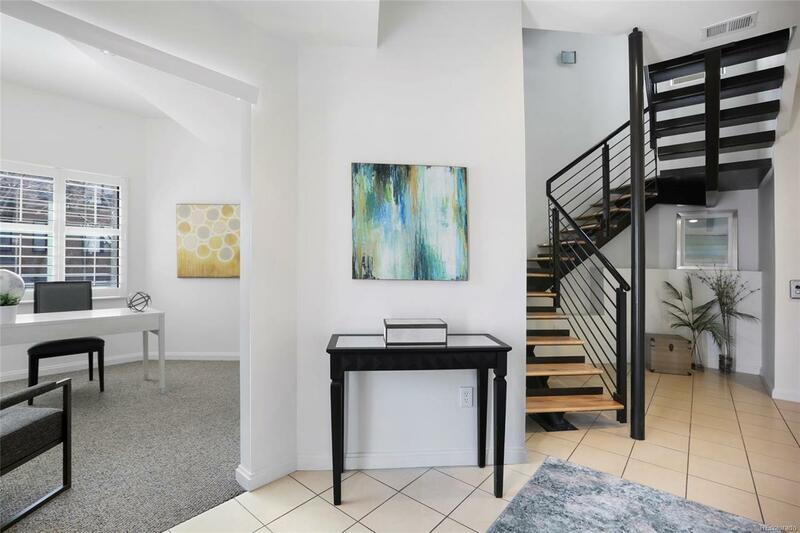 The entry level features an attached, private, oversized, 2-car garage and a great flex space with powder bath that can be used as a bedroom, den or office. 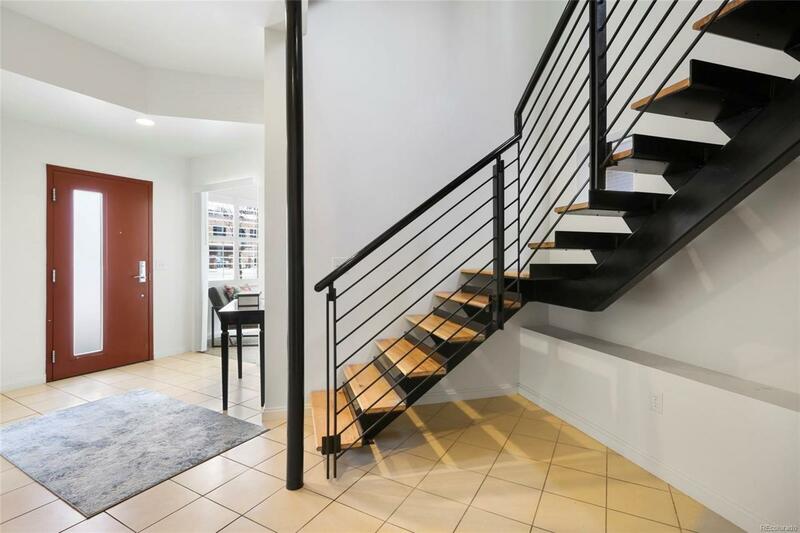 On the main level, youll find an open floor plan, great for entertaining, with the kitchen, living, dining, 2-sided fireplace out to the covered balcony, and powder bath. The upstairs has a spacious master bedroom with an ensuite bath and a large two-sided walk-in closet, a 2nd bedroom and bathroom, as well as a laundry room. The large rooftop patio is easily accessed from the staircase or elevator, is hot tub ready, and has spectacular city and mountain views. 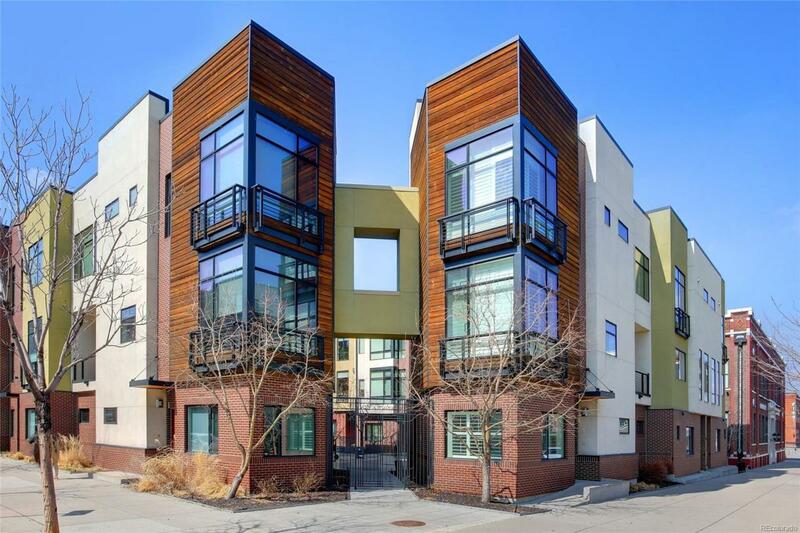 2 blocks to Coors Field, and an easy walk to all of the hottest spots in RiNo, LoDo, Union Station and more. Come take a look! Offered by Slifer Smith & Frampton Denv.